The department is committed to contributing actively to the intellectual life on campus and in the community. "Radio and Environments. From Hörspiel to Radio Art"
Film Screening and Discussion: "Images of the World and Inscription of War"
Monday, March 4, 2019, 7pm, HSSB 1173. The film will be introduced by Visiting Kade Professor, Dr. Ute Holl, who will also moderate the post-screening discussion. 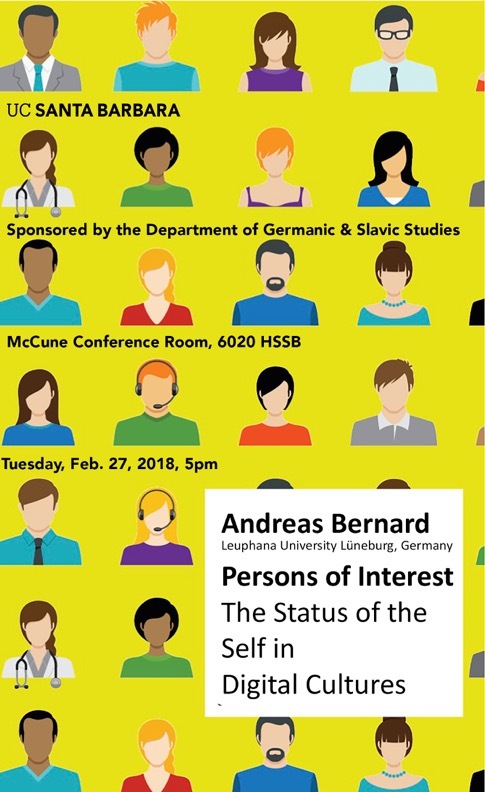 This event is presented by the Department of Germanic and Slavic Studies and the UC Santa Barbara Memory Studies Reading Group. Friday, April 12, 10:30am-5:00pm, Mosher Alumni House and Geiringer Hall (Music Department). This event is presented by the Department of Germanic and Slavic Studies and co-sponsered by the College of Letters and Science, the Departments of Sociology and Feminist Studies, and the Comparative Literature Program. Tuesday, February 19, 2019, 7:00-9:45pm, Pollock Theater: Following the film, director Peter Ott will join moderator Dr. Elisabeth Weber for a post-screening discussion. The event is free, but a reservation is recommended to guarantee a seat. "Beyond Praries and Skyscrapers? Austrian travelogues of the inter-war era on the U.S."
"Jackals and Arabs (Once More: The German-Jewish Dialogue)"
"Rebranding Sovereignty in the Age of Trump"
"A Child Hero: Heroic Biographies in Children's Literature"
"School discipline inside and out: the limits of Soviet school's disciplinary authorities"
"Heidegger, Nazism, and the Jewish Other"
"Hannah Arendt, On truth and lying in politics"
"Translating the Russian Classics in the Twenty-First Century"
"Dialectics of a Constellation: Heinrich Heine in Critical Theory"
"Nabokov's Idioms: Translating Foreigness," a one-day symposium in honor of Don Barton Johnson, emeritus professor, took place on Friday, February 19, 2016. 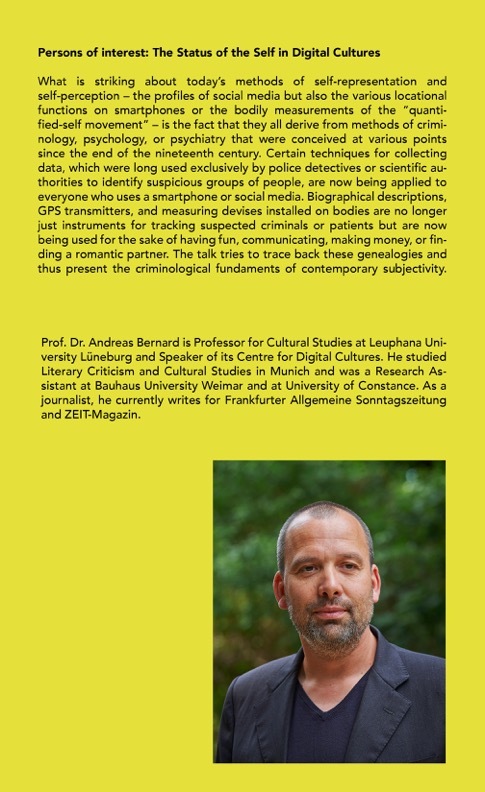 You can see the symposium poster here. On the occasion of the 100th anniversary of the publication of Franz Kafka’s famous text “The metamorphosis,” an interdisciplinary conference at UCSB brought together a wide array of scholars and artists to discuss Kafka’s text in its literary-historical context, and to read it as an exploration of metamorphoses that problematize borders between species and between living organisms and machines.